History makes music … it carves out life’s edges for the musicians to find. Little wonder then that Naples, full of passion and secrets, is carpeted with song, with great singers and orchestras, and with the drift of the mandolin, of the saxophone and of jazz. John Turturro’s 2010 film Passione was my first introduction to the music of Naples. 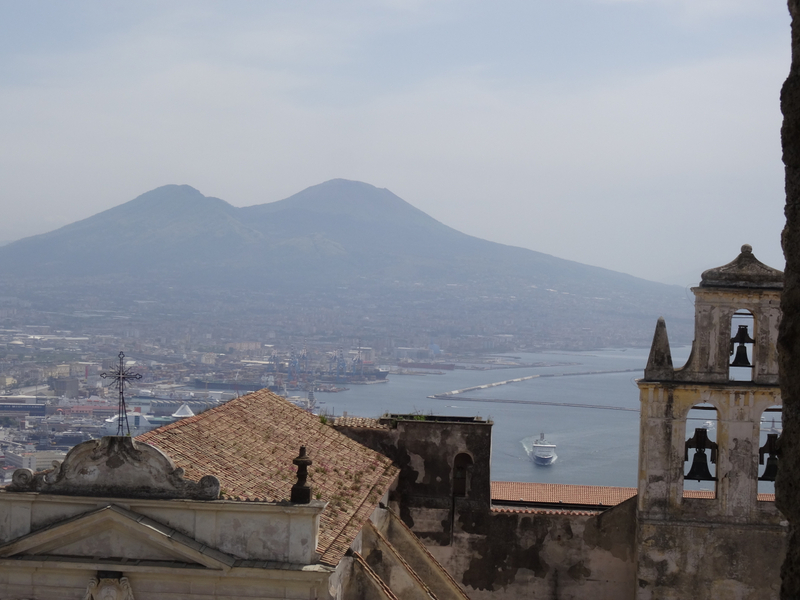 The film puts singers and song into context with performances set in the streets and castles of Naples, in its palazzi, monasteries and monuments. The result feels real, without the sugared effect of theatre. Even O Solo Mio is transformed – its well-known lilt is folded back on itself with a delivery that is in pointed contrast to what we might assume. Most of this is shown by the performers and the close focus of the camera rather than lengthy explanation. John Turturro does say a few words in English, but it is the setting and the song, stripped down to their flesh, that engage. Nothing is rose-tinted. The shining blue of the best days is swopped for the haze that happens when the world’s winds blow across the bay. The light we are shown is of sepia air filled with a grit that feeds down into the music. There are occasional flurries of blossom but for the most part the music’s intensity thrives on passion, irony and strong women. The film is such a success that it has now moved to the stage as well. In December 2015 we joined an audience for a packed performance of Passione in a warehouse of a theatre on the outskirts of Naples. We knew it wouldn’t be the same but we couldn’t resist. It was worth it. The venue was large but nothing was lost. The audience knew the music; they understood the pain, the grace, the humour, the commitment; and at the end they added their voices to the wistful words of Pino Daniele’s song Napul’è. Pino Daniele, born and raised in Naples, died suddenly on January 4, 2015, shortly before his 60th birthday. Decades of his songs – part jazz, part blues, and often in Neapolitan – are embedded in the city. They mean as much to many as the Teatro San Carlo does to others. The Teatro San Carlo (1737) is the great opera house of Naples commissioned by young Charles, the first of the Spanish Bourbon kings to rule the kingdom in the eighteenth century. Today, famous for its opera, the theatre is filled with its own passione and continues to inspire and attract great singers, musicians and audiences. 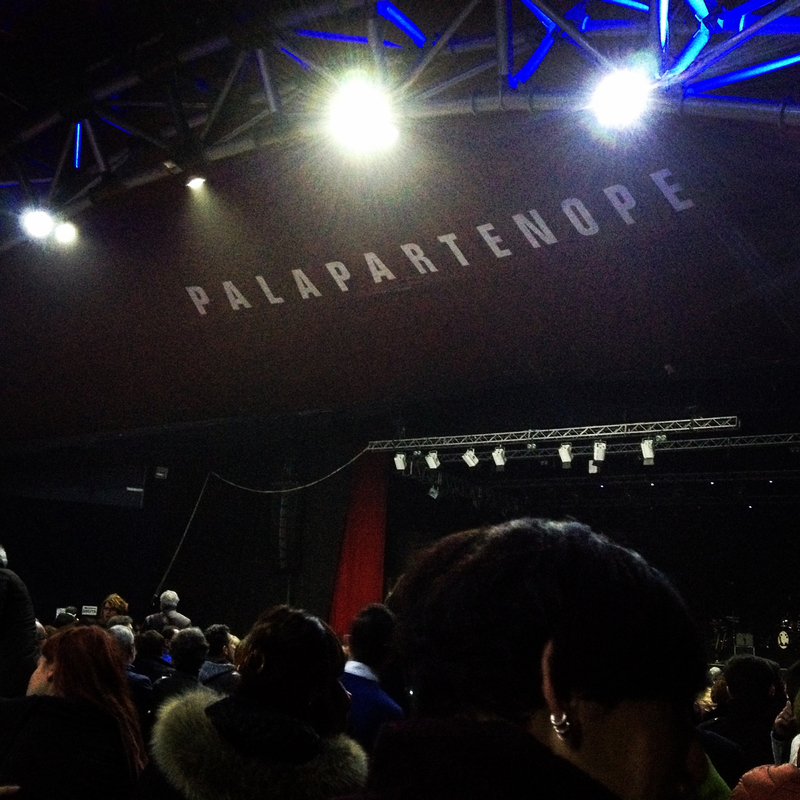 In our time in Naples we visited another theatre, the Teatro dell Palme, to listen to more Neapolitan music. 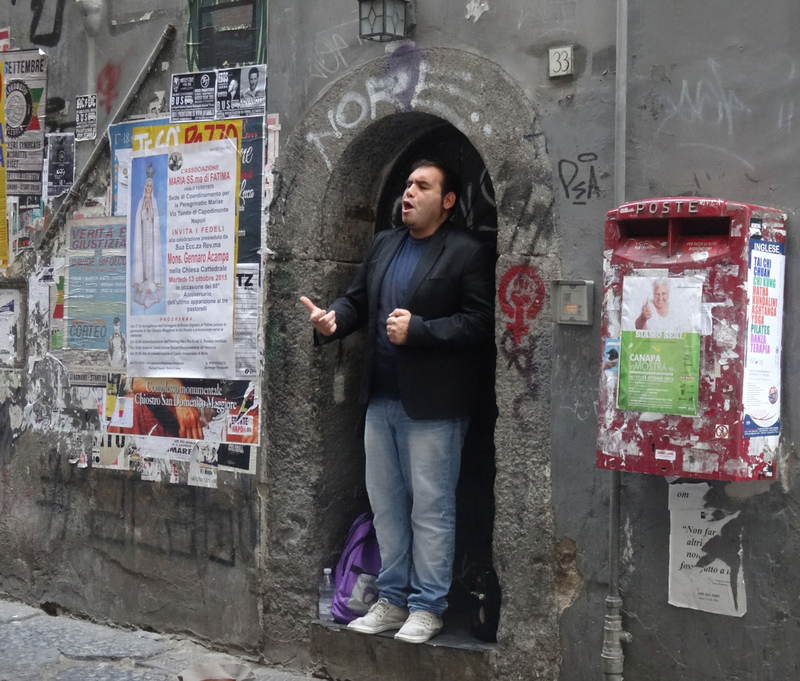 This theatre in Chiaia is not as grand as the San Carlo, nor as huge as the Palapartenope, but it was the perfect size for Peppe Barra – a well known performer of original Neapolitan song. He is now in his seventies but his voice is as strong as ever and his message is determined. Barra dedicated his concert to the songs and poetry of love, and to a passionate appeal to keep the music of Naples alive. 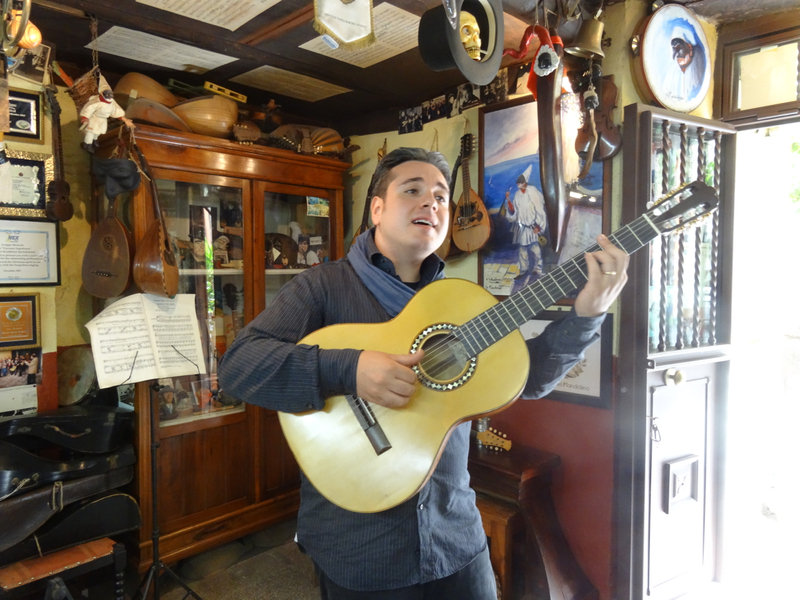 He describes music as part of the city – the part that helps Neapolitans survive despite their history. In the performance there were solo flourishes from the musicians who accompanied him, including a masterclass on the tambourine. 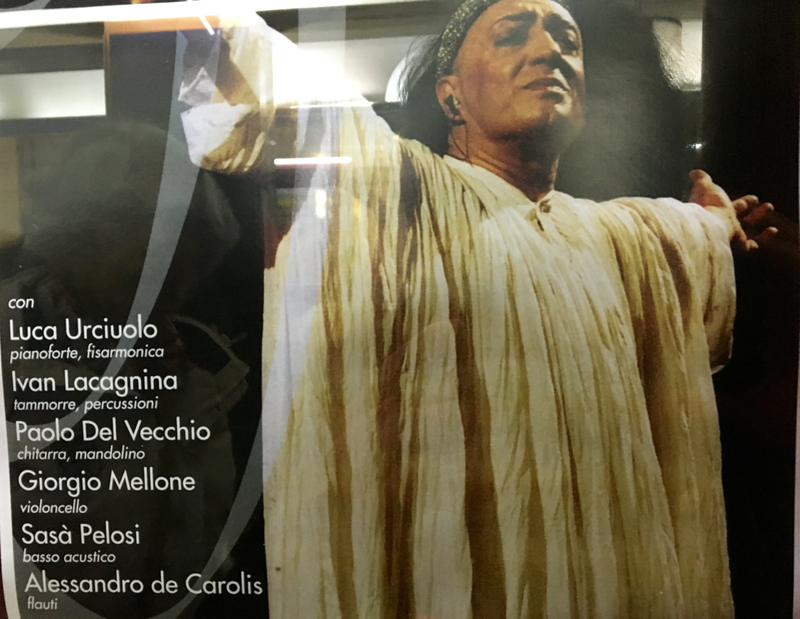 Another singer, well-known in Naples and showcased by the film Passione, is Peppe Servillo. We saw him perform live as part of a cast of Neapolitan musicians in a fundraising concert in the English Church in Naples. 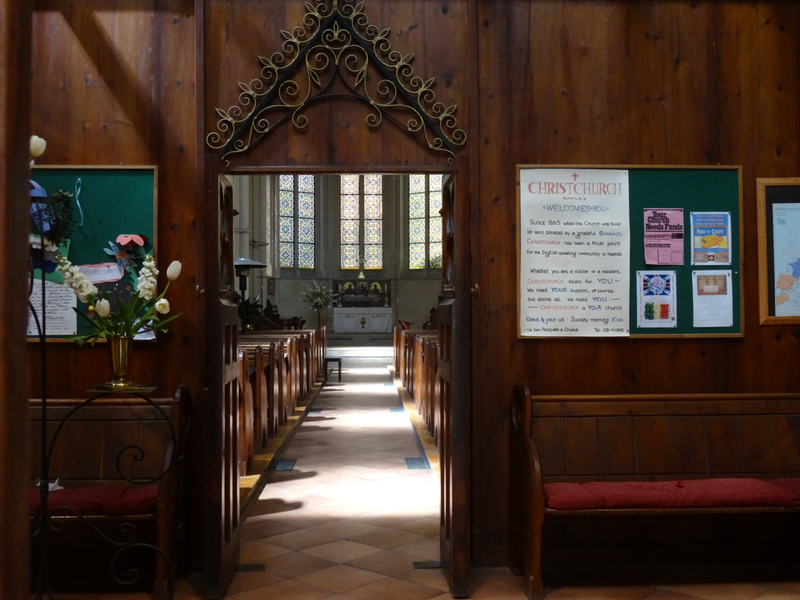 The event was so well-attended that even the rows of pews in the large Victorian church could barely cope with the numbers. 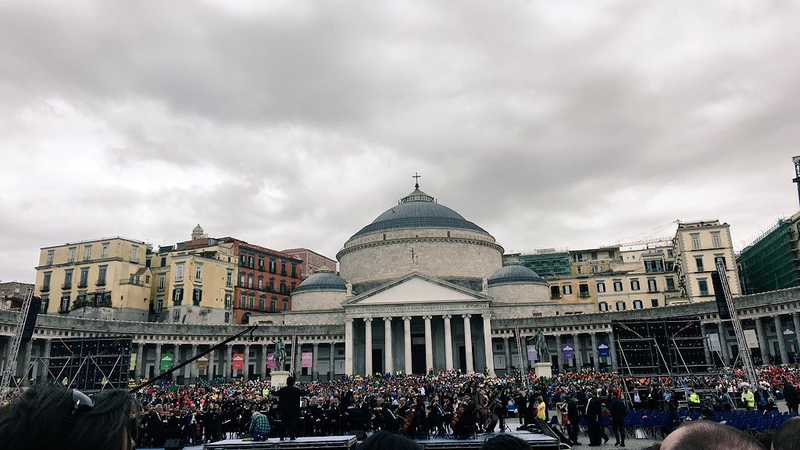 That is the energy of music in Naples – it reaches out in all directions, builds over traditions that have come before, and continues to grow, carrying the city’s heart with it. … and tunes are used to reinforce tradition, to save the city’s heritage. 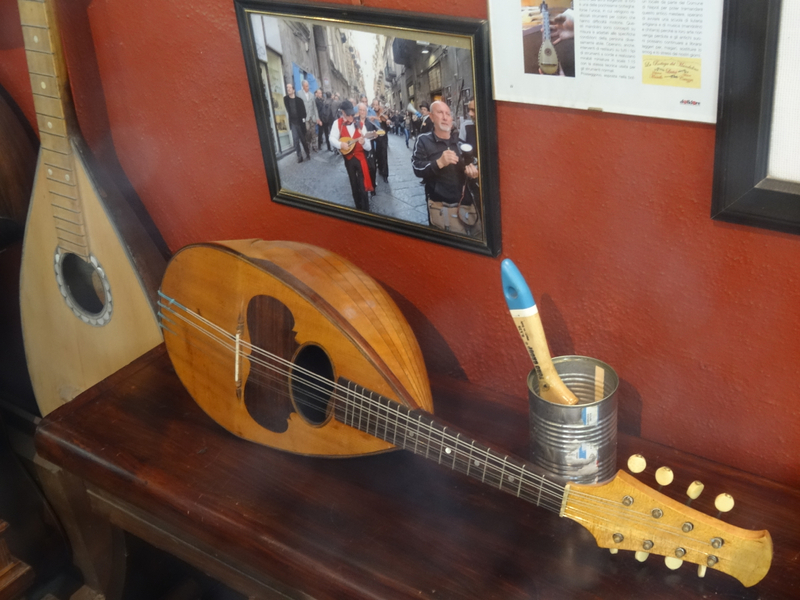 If you’re lucky you’ll hear a mandolin, once the pride of Naples. 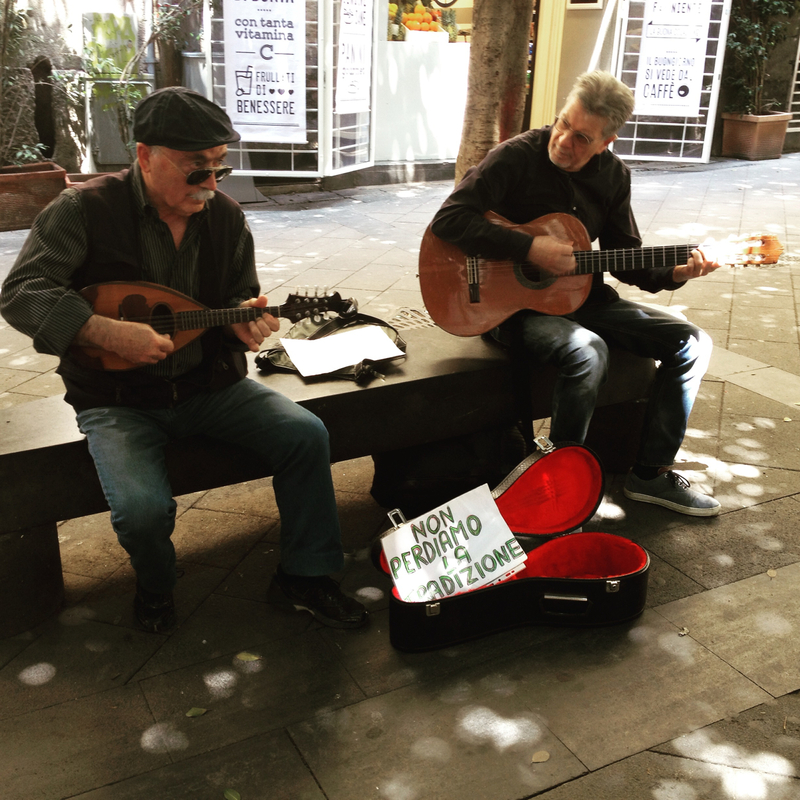 Music lies deep in the core of Naples. It is a therapy, a distraction, a reminder – it is scarred and forceful, it guards the city’s soul. The trailer for the film Passione. This next song is about the birth of the first black baby in Naples following the arriving of the Allied Forces in the Second World War. In his Concerto d’Amore Peppe Barra dedicated the song to the protection of women from violence. 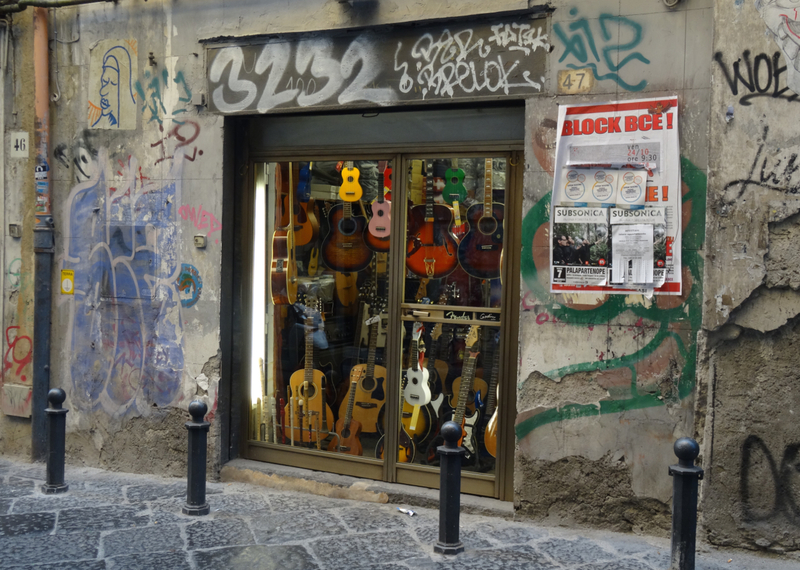 If you want to know more about music in Naples there is excellent information on pages 336 – 341 in the Napoli Unplugged Guide to Naples. Finally here is a link to the history of better known Neapolitan songs from the Life, Death and Miracles website of Jeff Matthews. 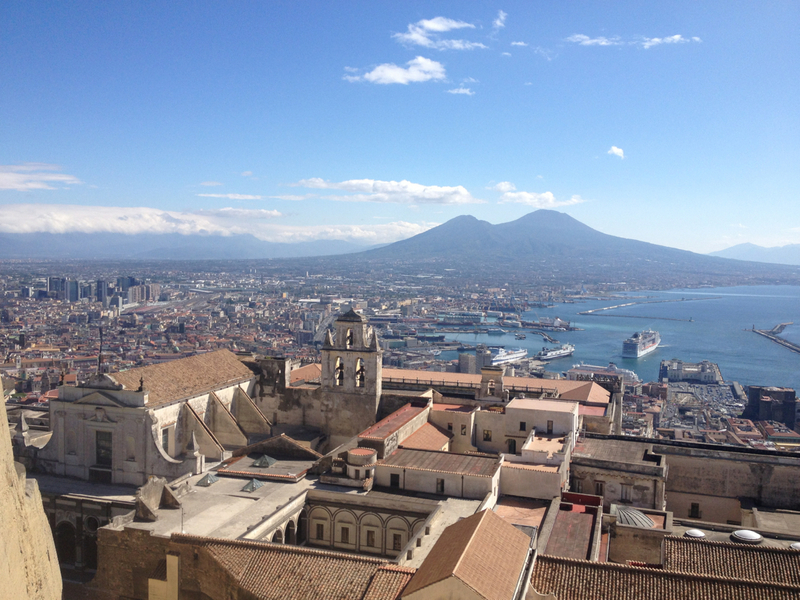 This entry was posted in Italy, Music, Naples and tagged Italy, John Turturro, Lina Sastri, Misia, Music in Naples, Napoli, Napul'è, O Sole Mio, Passione, Peppe Barra, Pino Danielle, Teatro San Carlo, the English Church in Naples. Bookmark the permalink. Thanks Le Marche Magic … I’ll follow up the link – thank you for passing mine on. 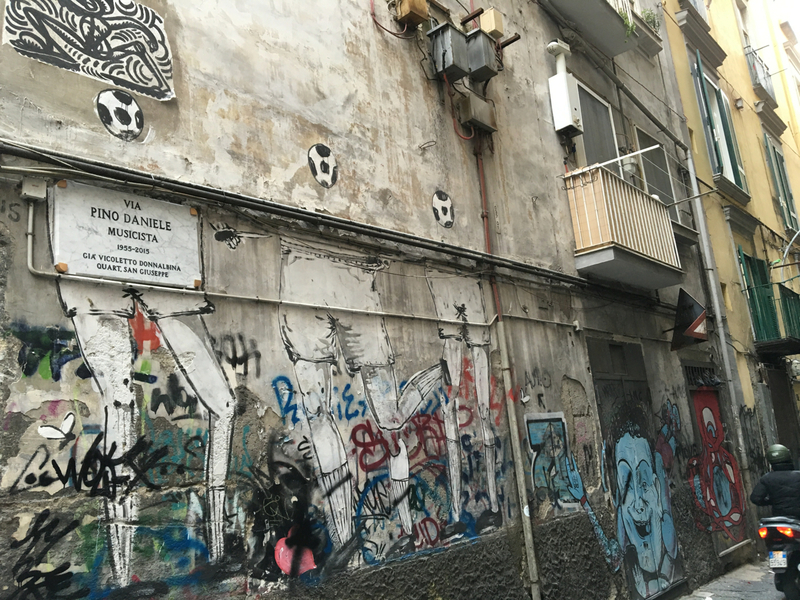 I wrote this piece in April 2016 about the richness of the music in Naples. This is an updated version – improved I hope – with a range of YouTube links at the end. I had a trip down memory lane reading this, I am playing Pino as i read and reply! 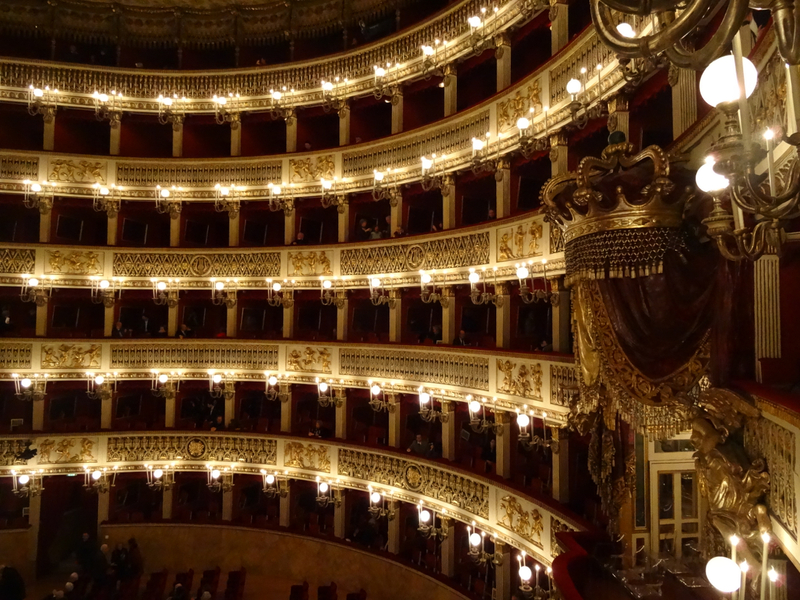 I enjoyed a wonderful opera at Teatro San Carlo, listened to buskers within the alleys of Napoli and even the grand piano being played in stazione di Napoli Centrale with every passer by joining in. It seems Napoli’s soul is expressed in it’s music. Grazie. Wonderful article Georgie! Thanks! I love the passion in napoletan songs. 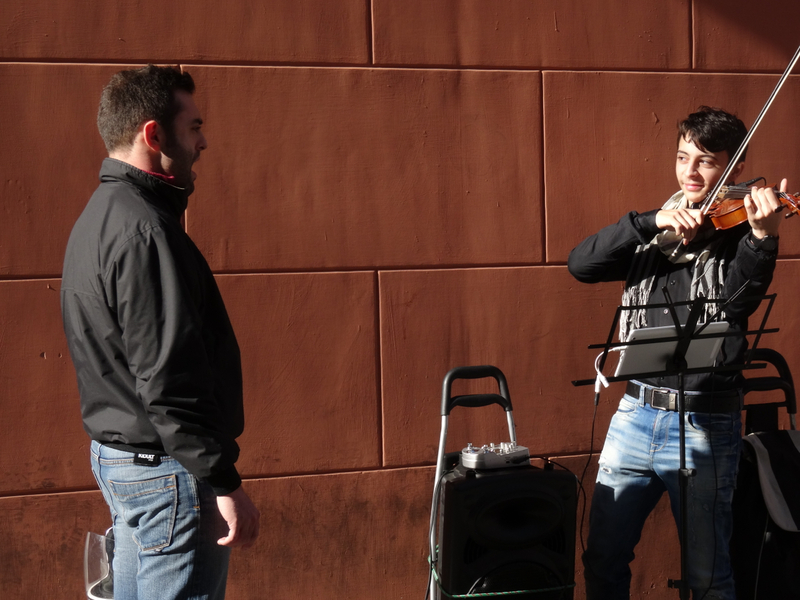 I ll never forget the serenade i got from my napoletan lover……o sole miooooo. 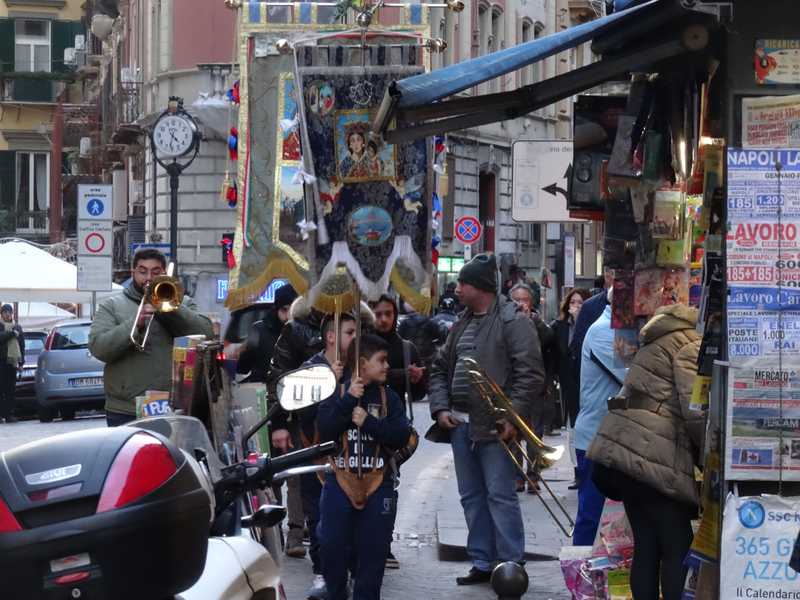 “I learned that the well-known Neapolitan tunes such as O Solo Mio caramelise the further they travel from Naples.” … gosh, I love your writing! Another terrific read, thank you.